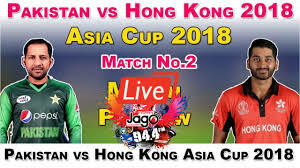 PAK vs HK the 2nd match 0f Asia Cup 2018 group A has been played in Dubai International Cricket Dubai on 16 Sep 2018. This match was like a one-sided match in which Pakistan won the match very easily by 8 wickets. Hi, friends I am Gyan Ranjan. In this blog post, you are about to know a detailed description of PAK vs HK Asia Cup 2018. It was the 2nd match of Asia Cup 2018 which has been played in Dubai. Only four batsmen of HK could score in double figure. N Khan13, A Rath 19, K Sah 26, A Khan 27, HK lost all the wickets in 37.1 over at the score 116. Hence PAK got the target 117 to win this match. Usman Khan got maximum 3 wickets in this match. Hasan Ali and Sadab Khan got the 2-2 wickets while F Ashraf dismissed 1 HK batsman. 2 batsmen of HK lost their wickets as run-out.